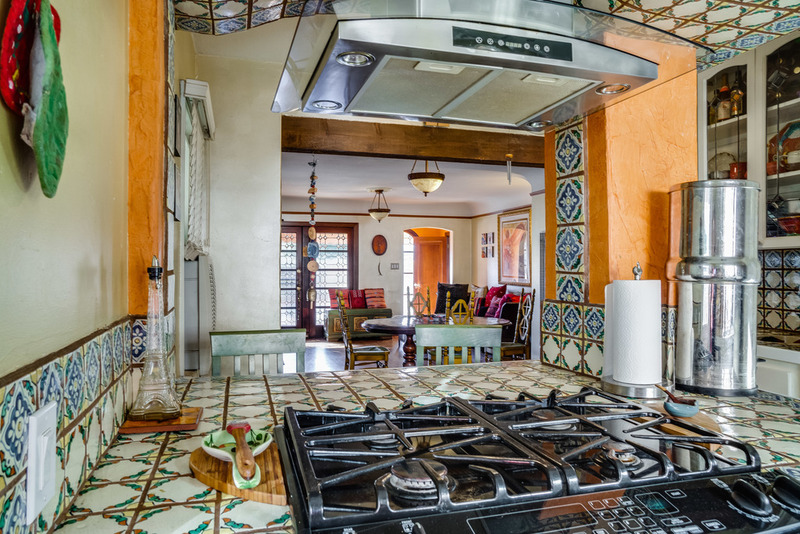 Striking Spanish home with 3 bedrooms and 2 bathrooms. 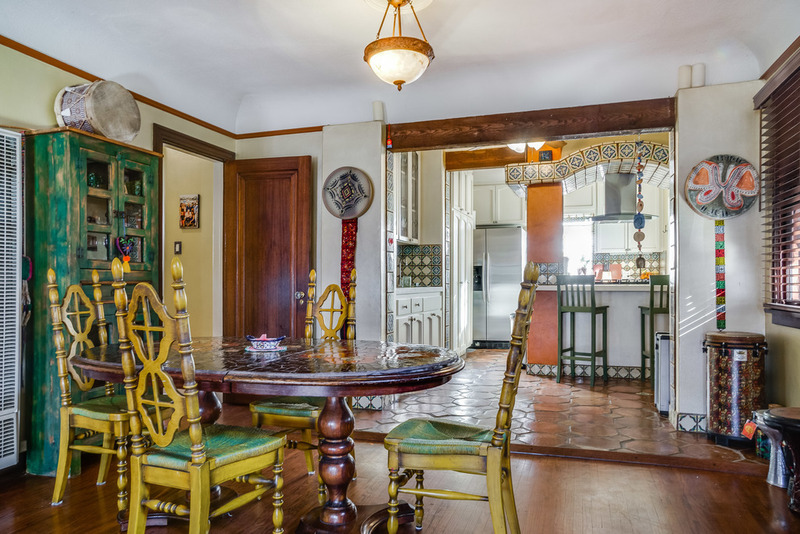 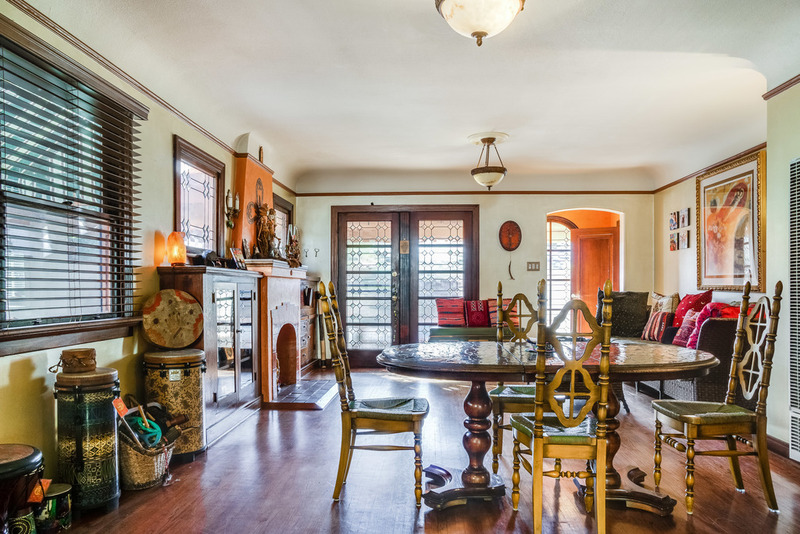 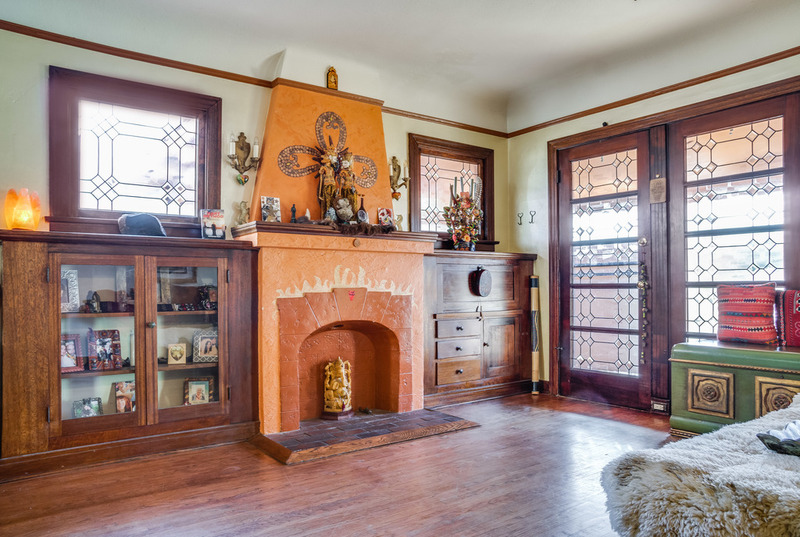 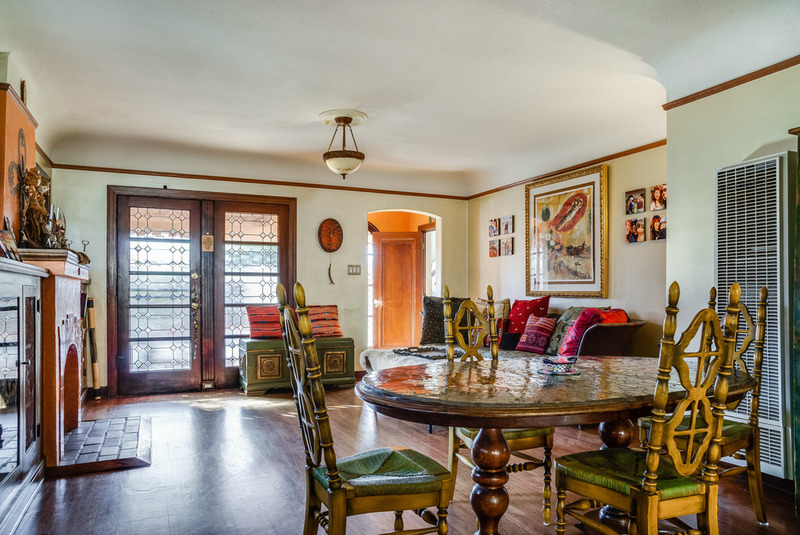 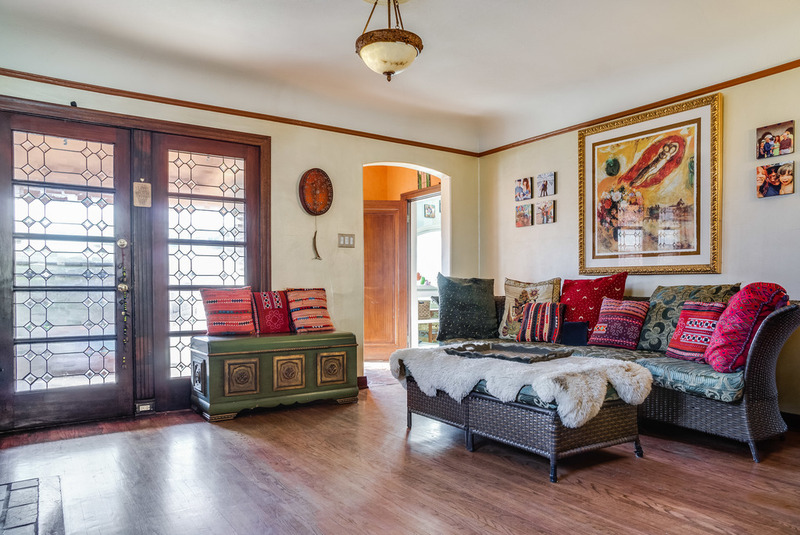 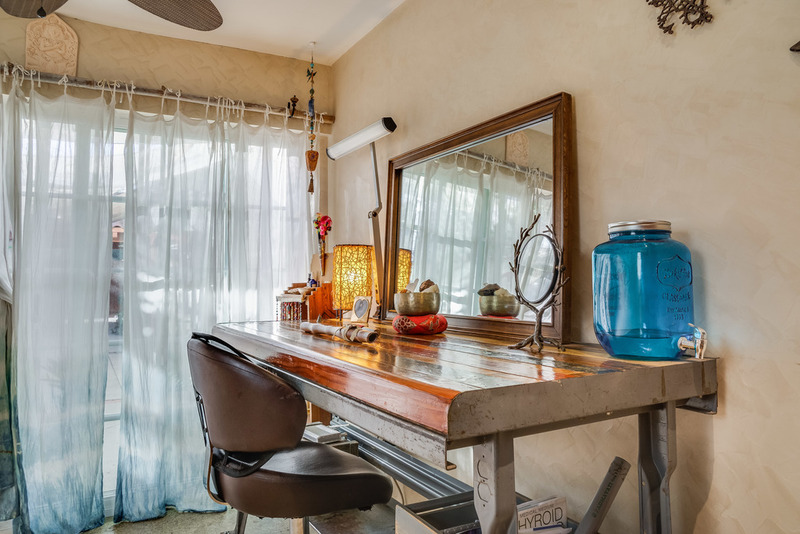 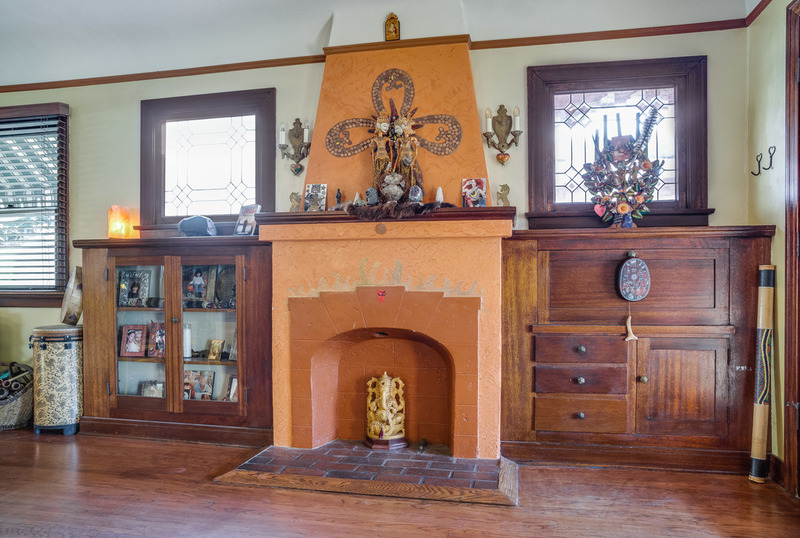 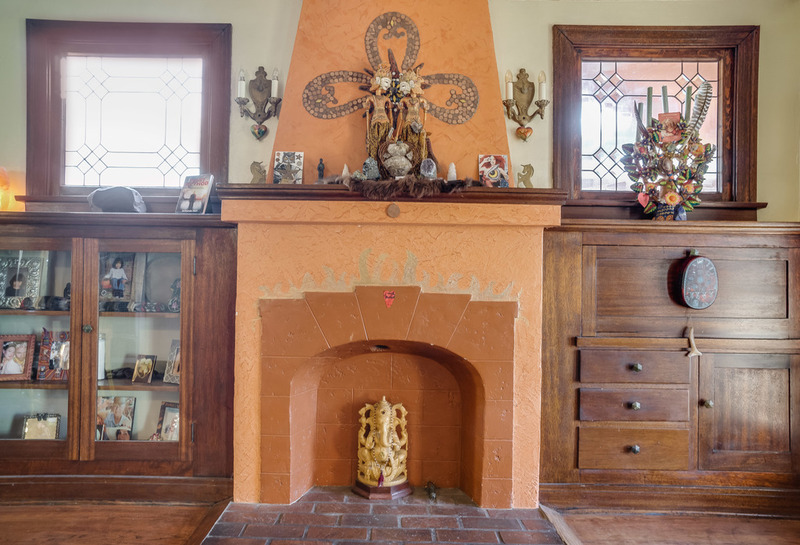 Interior features include: mahogany doors, hardwood flooring, leaded glass windows, hand painted tile, crystal door knobs, and subtle color hues throughout. 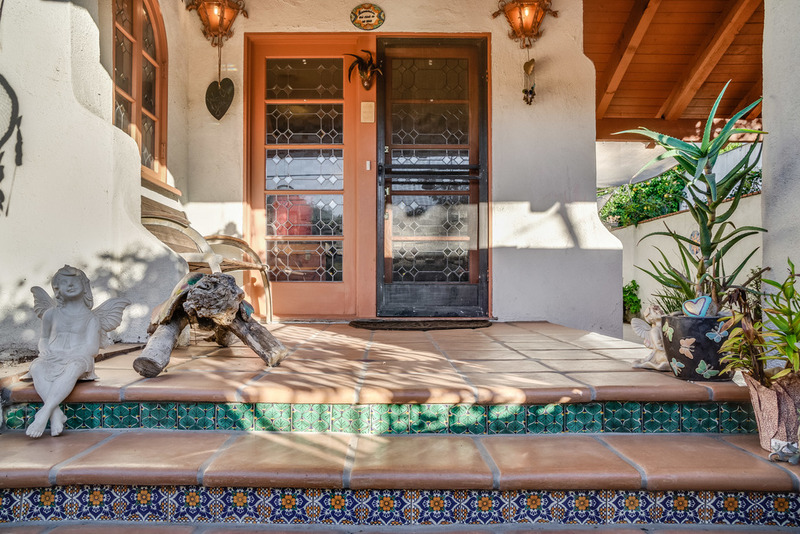 As you pass through the front entry gate you will be captivated by the outdoor space. 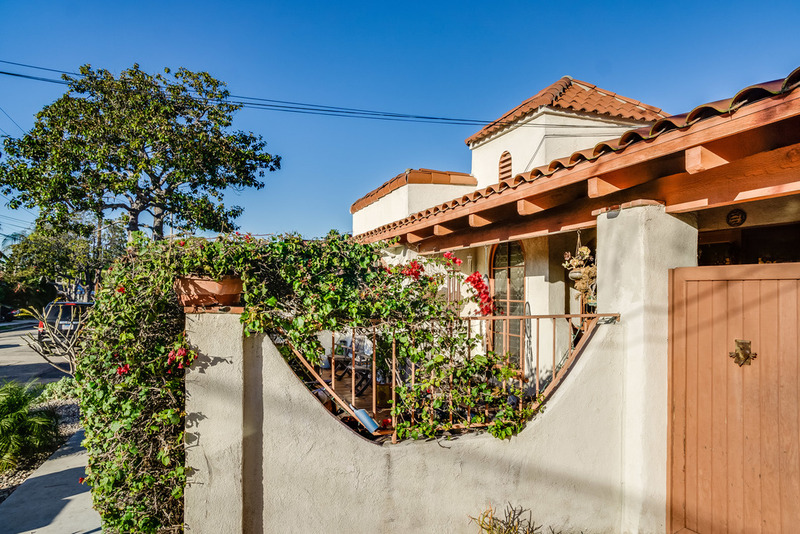 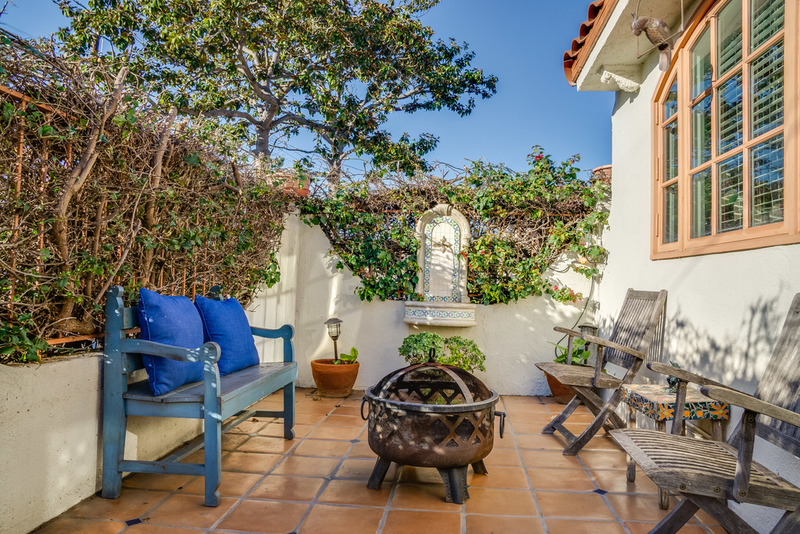 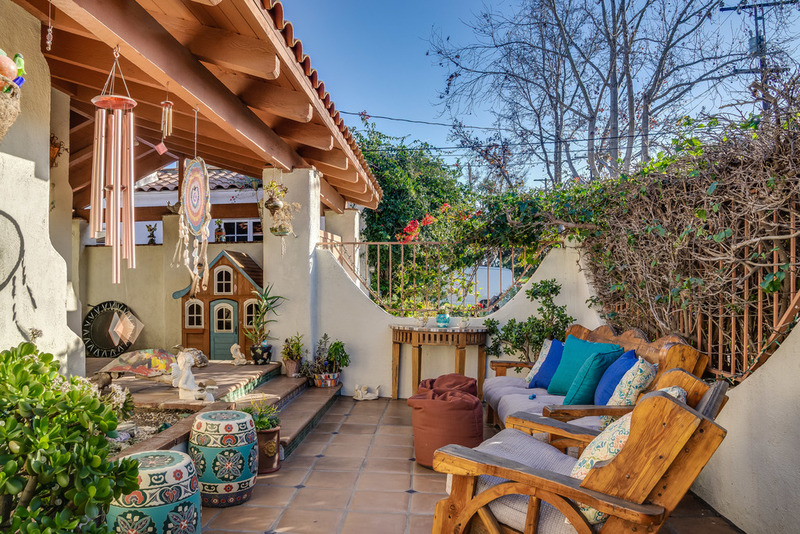 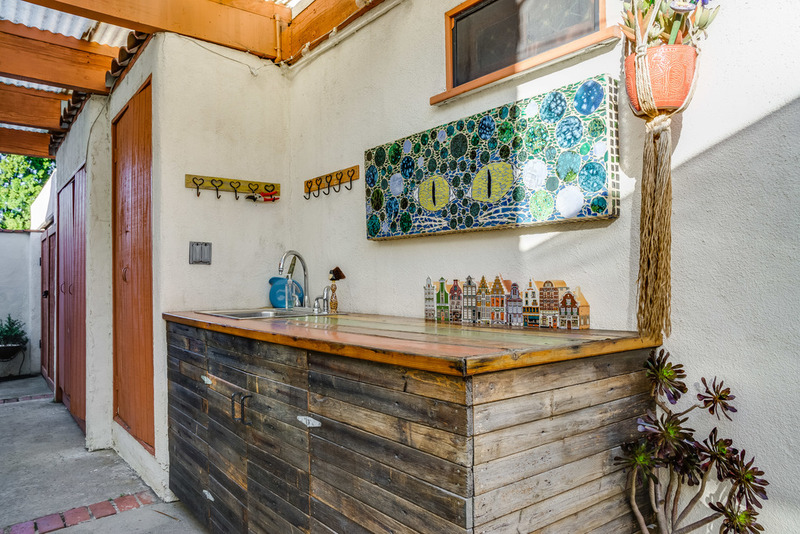 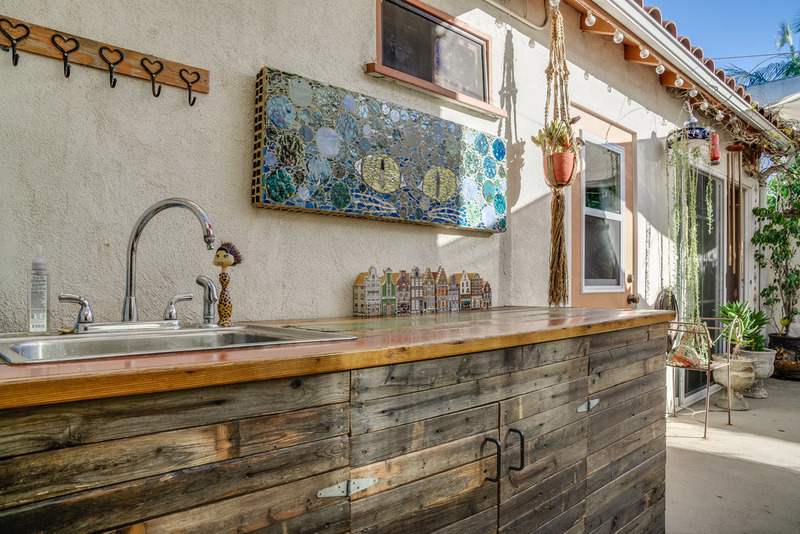 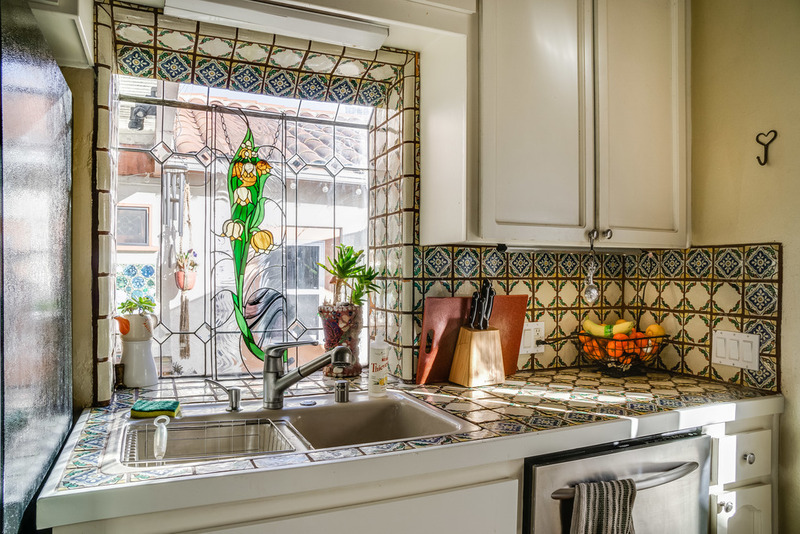 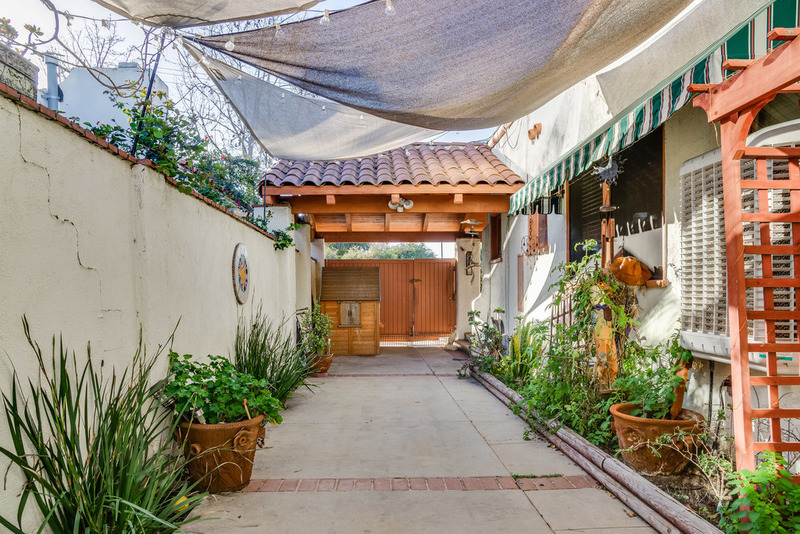 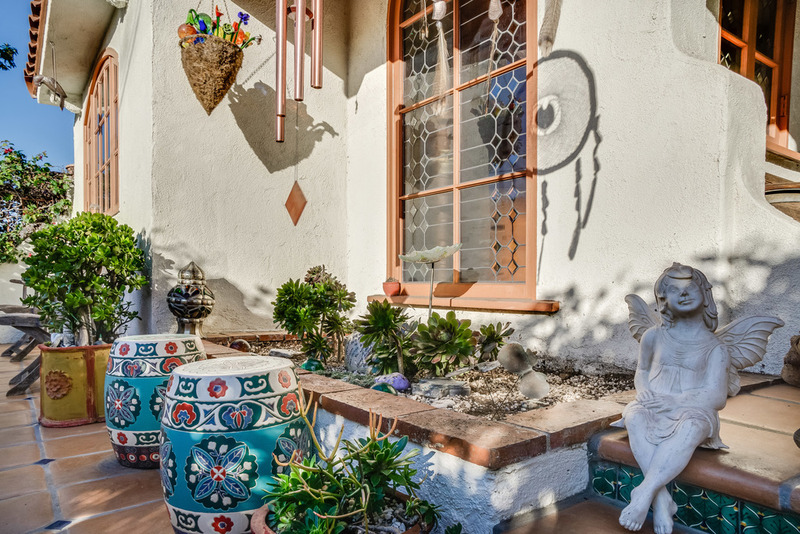 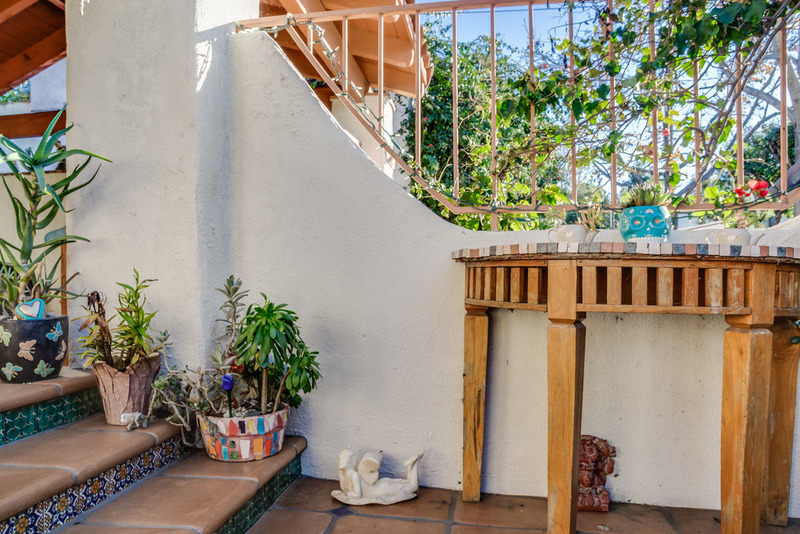 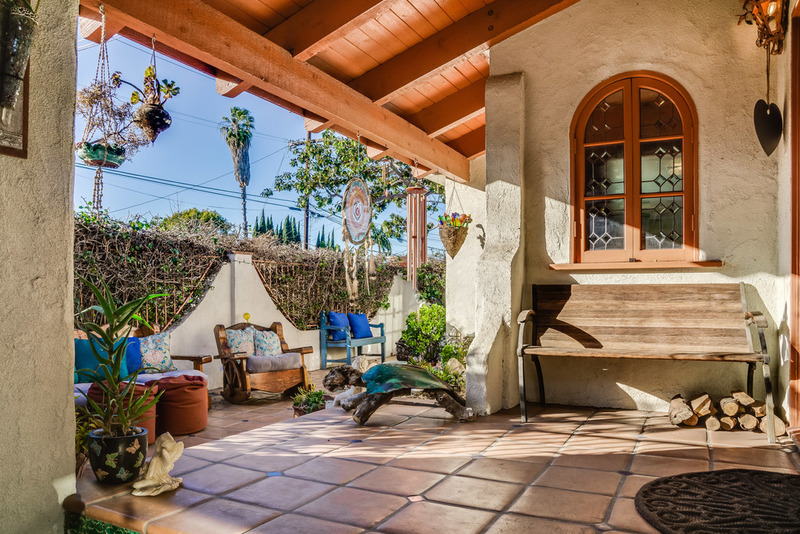 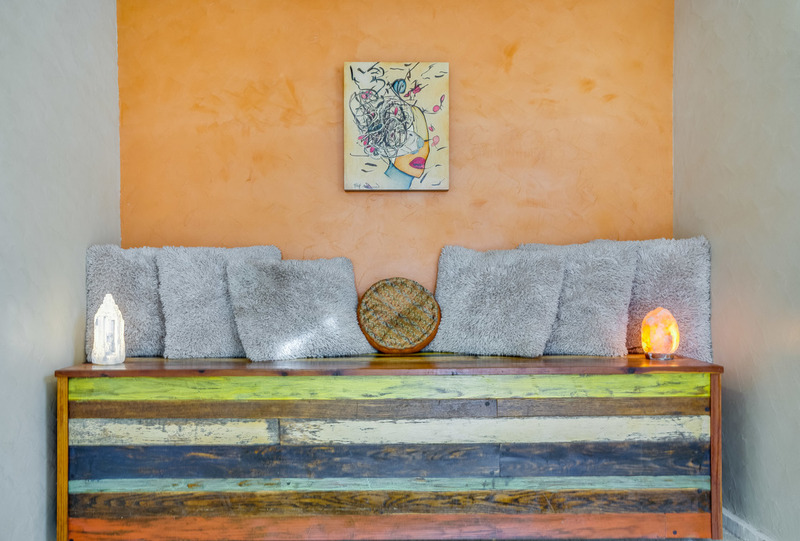 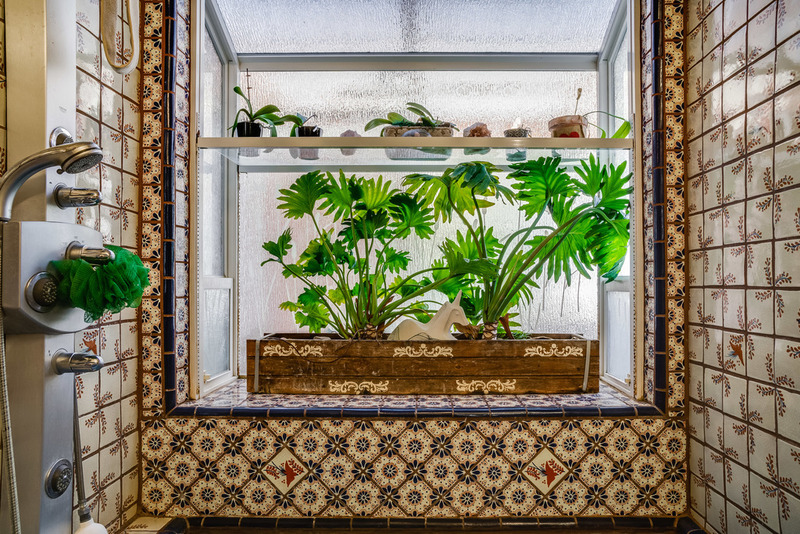 Front patio of home is your own private oasis complete with saltillo floor tile and colorful tile accents. 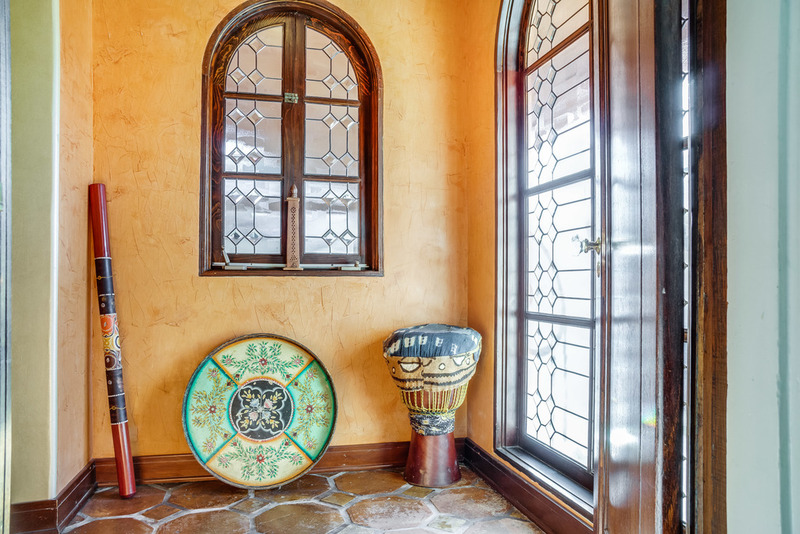 Through the front door the living room features custom built-ins and fireplace and opens to dining area and then onto kitchen. 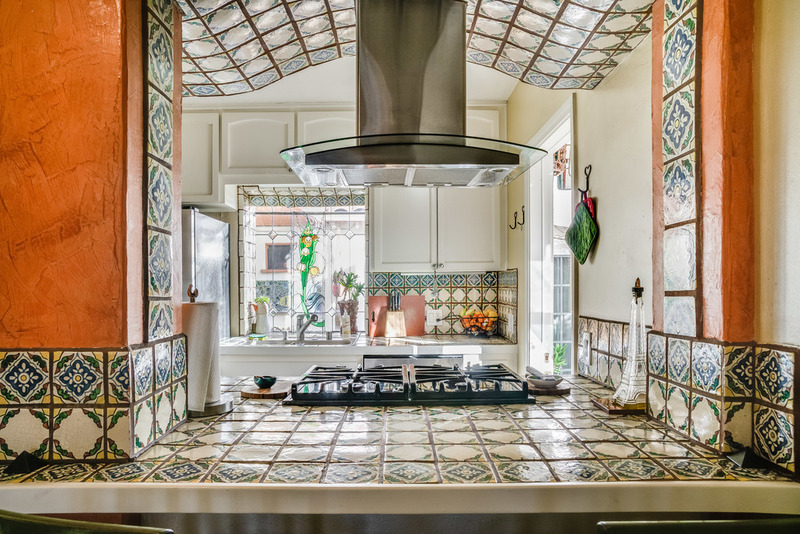 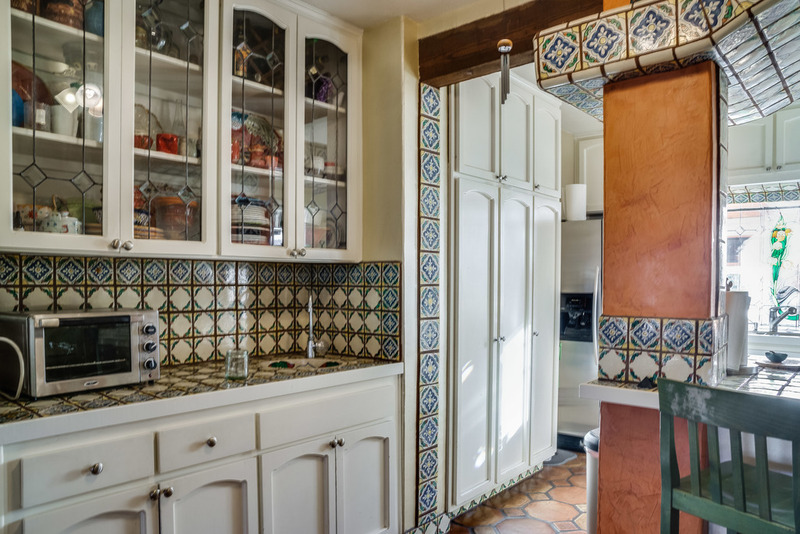 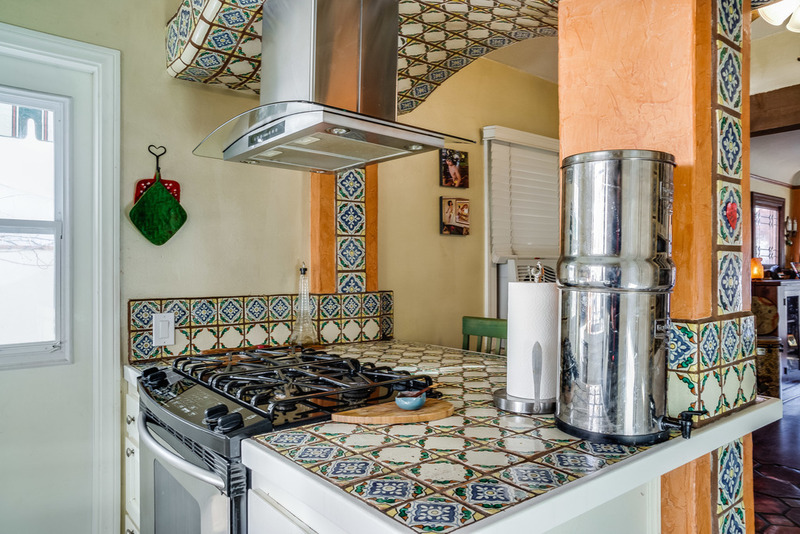 Upon entering kitchen area you will pass a peninsula, adorned with a talavera tiled arch, and range with glass exhaust hood. 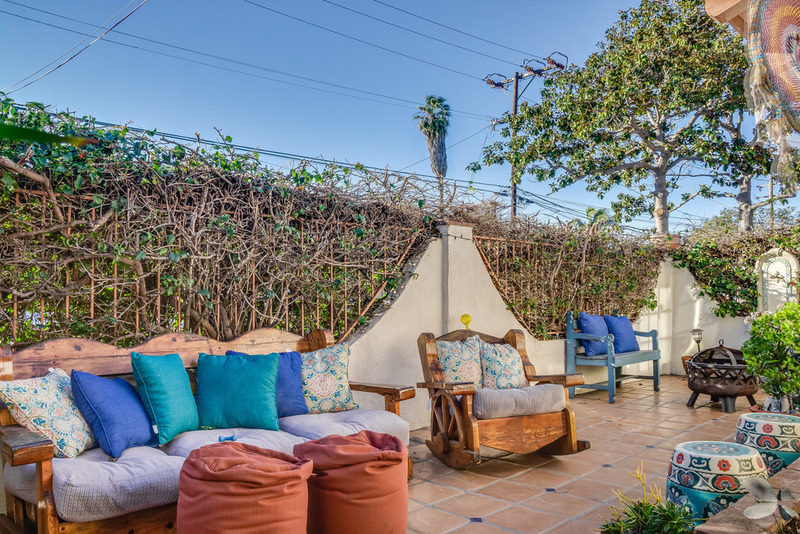 Peninsula is a perfect place to pull up a stool and gather. 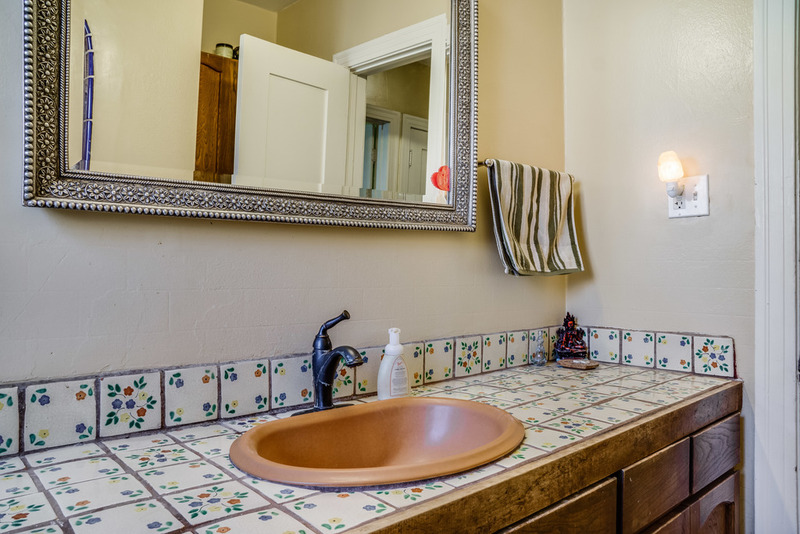 The wet bar has clear glass cabinetry, hand-painted sink and tile counter. 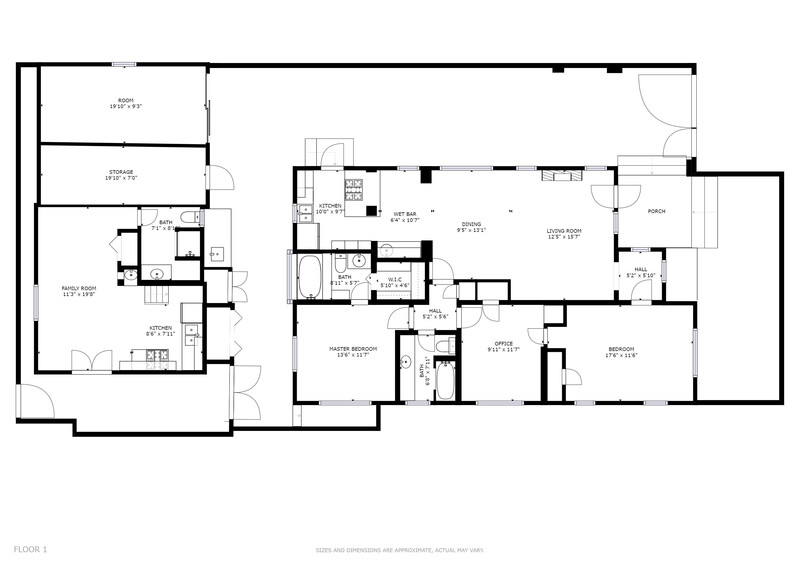 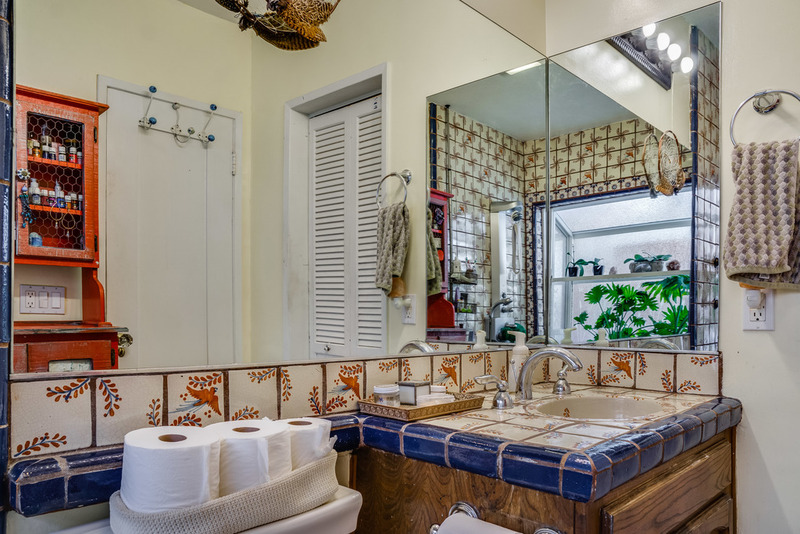 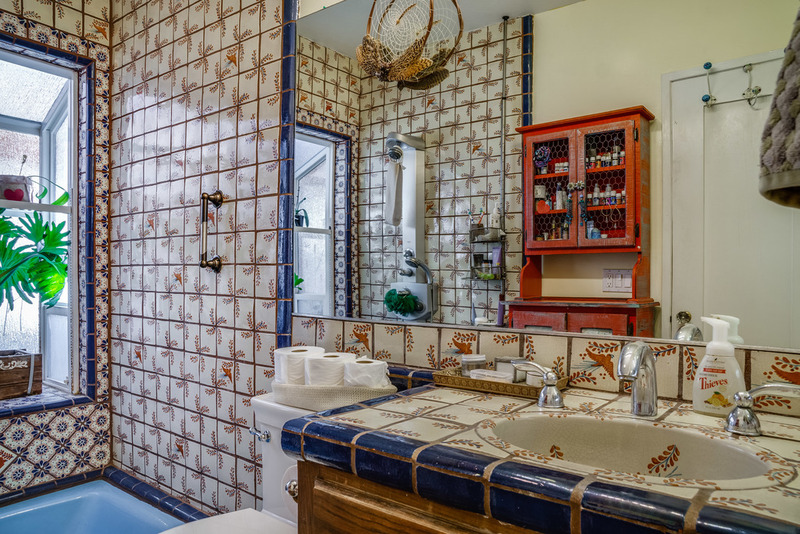 The master suite includes a cedar-lined walk-in closet, private bath with beautiful sunken tub and talavera tile throughout! 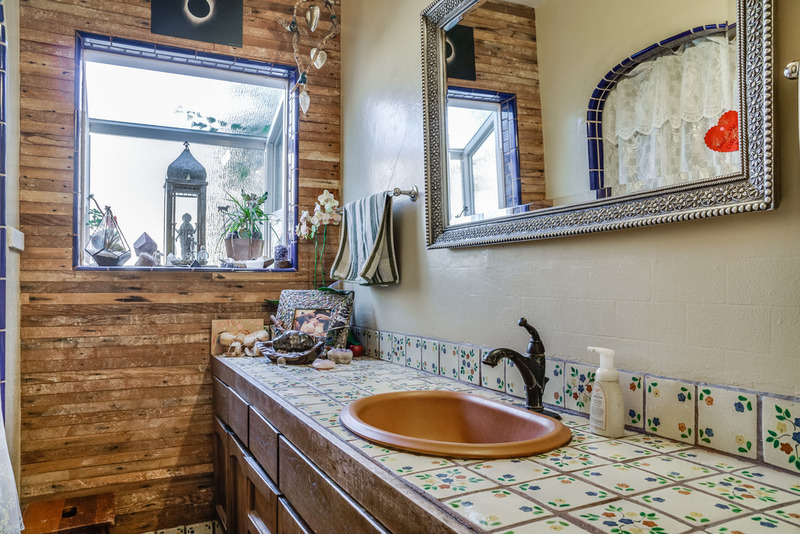 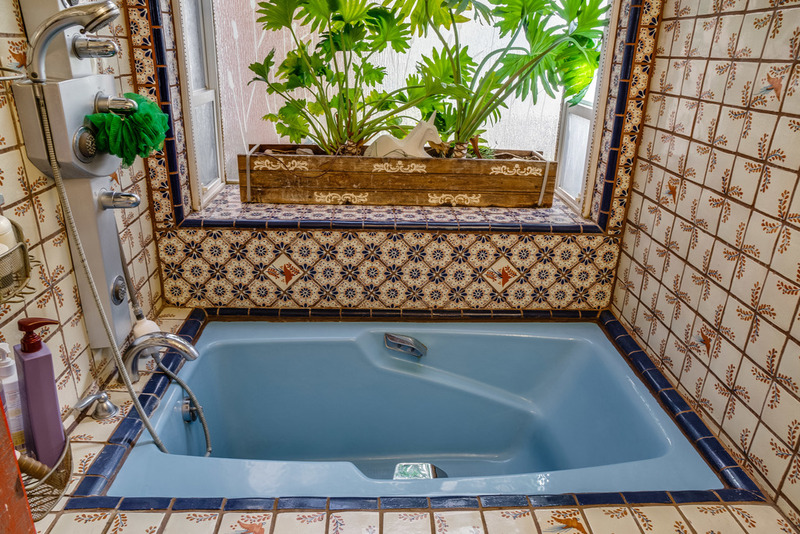 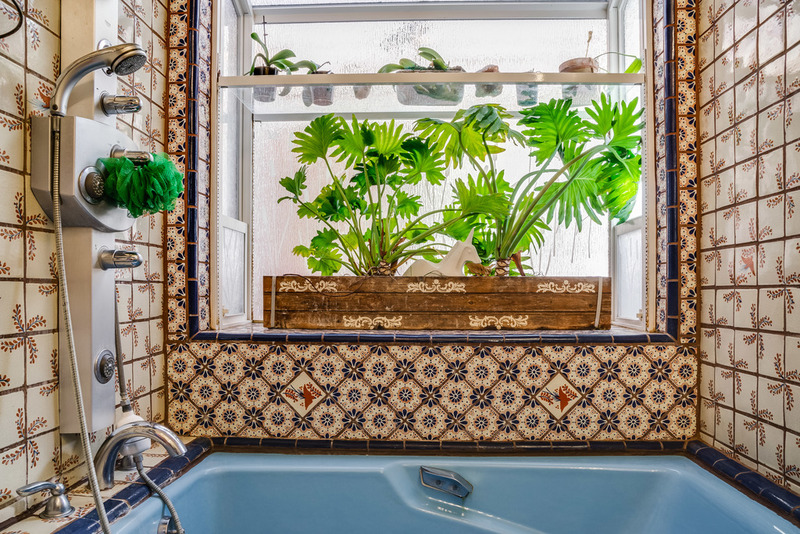 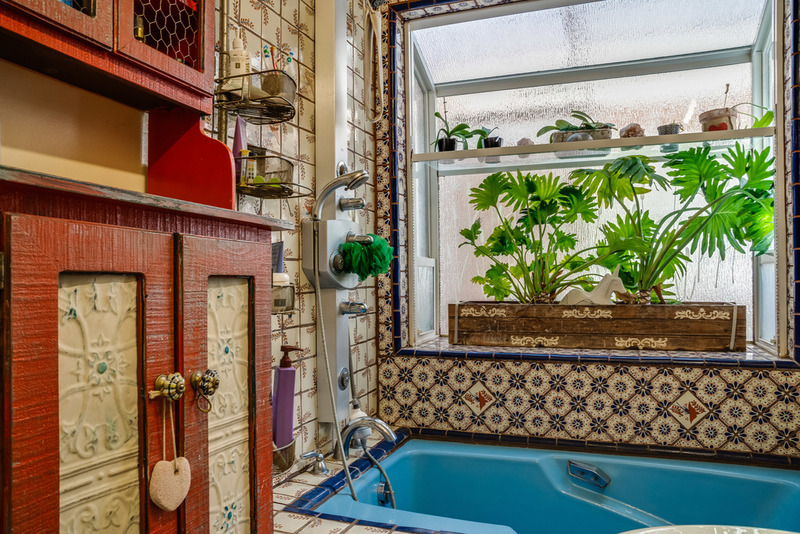 The second full bath is a tub/shower combo and well designed with talavera accent tile. 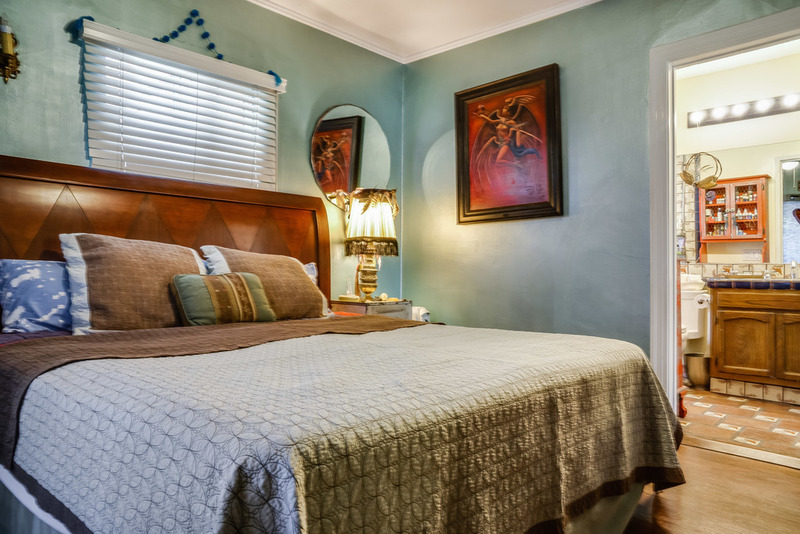 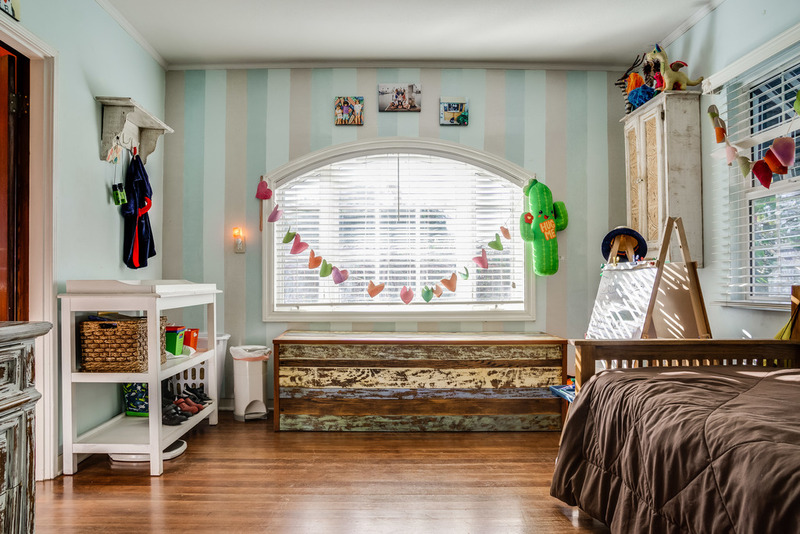 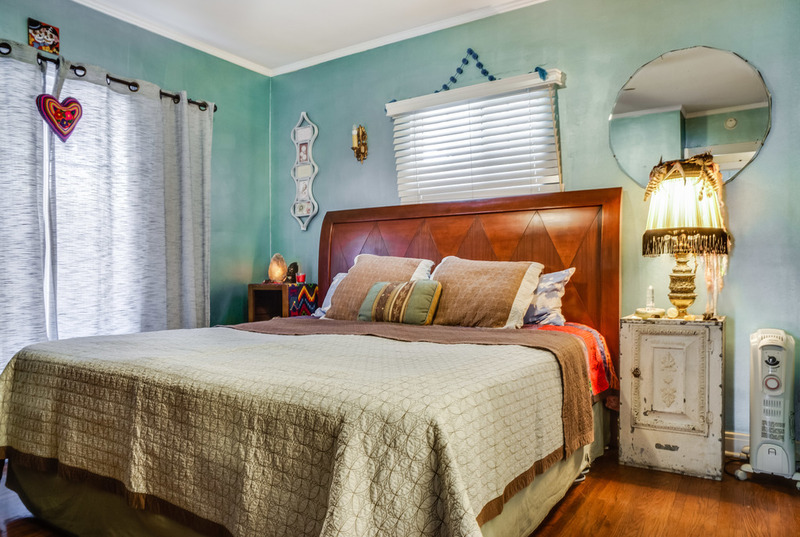 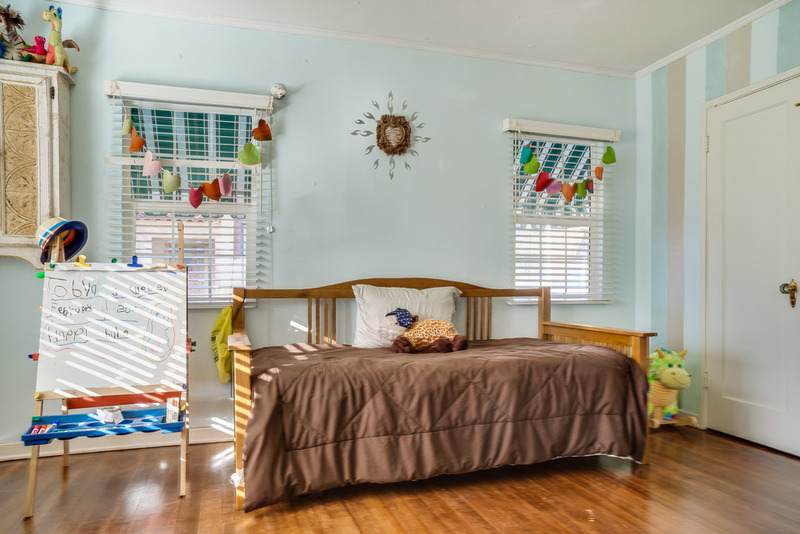 Other bedrooms include ceiling fans and hardwood flooring and tons of natural light. 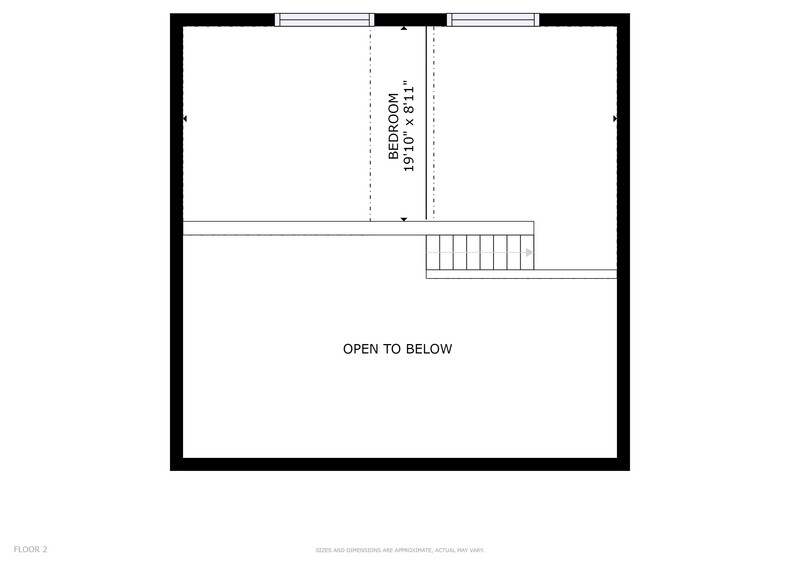 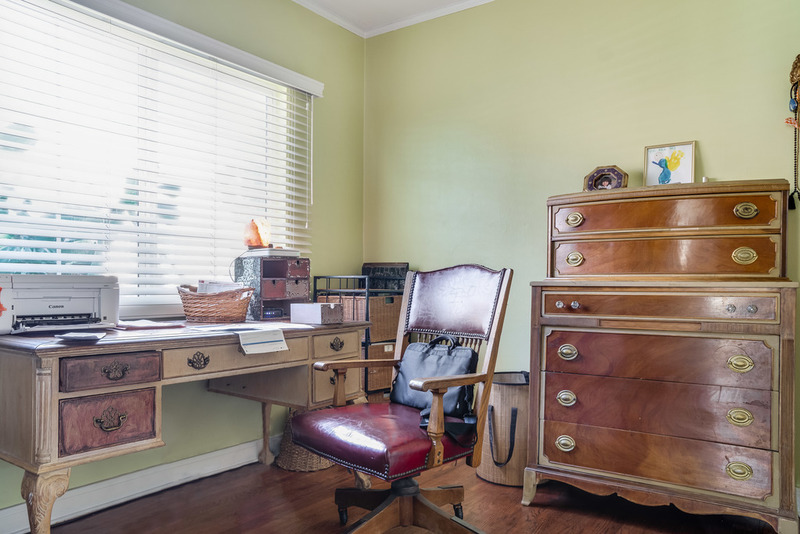 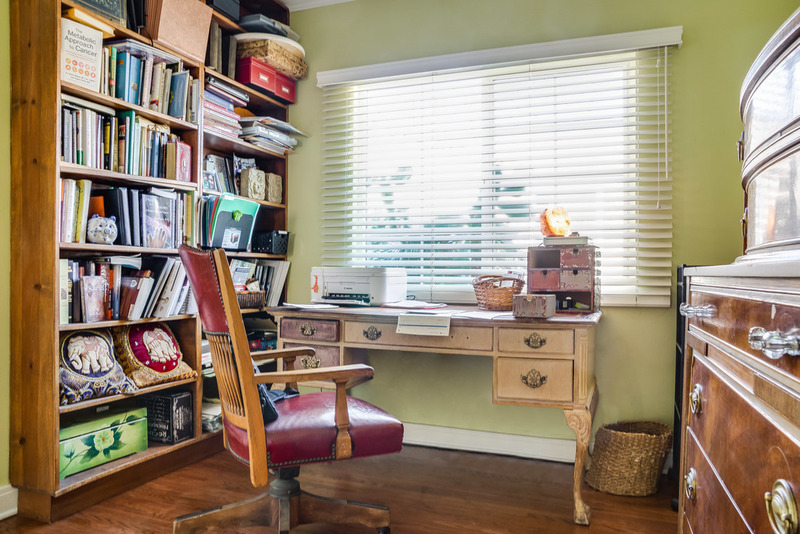 A long driveway leads you back to a detached garage that has been converted to an office and storage room. 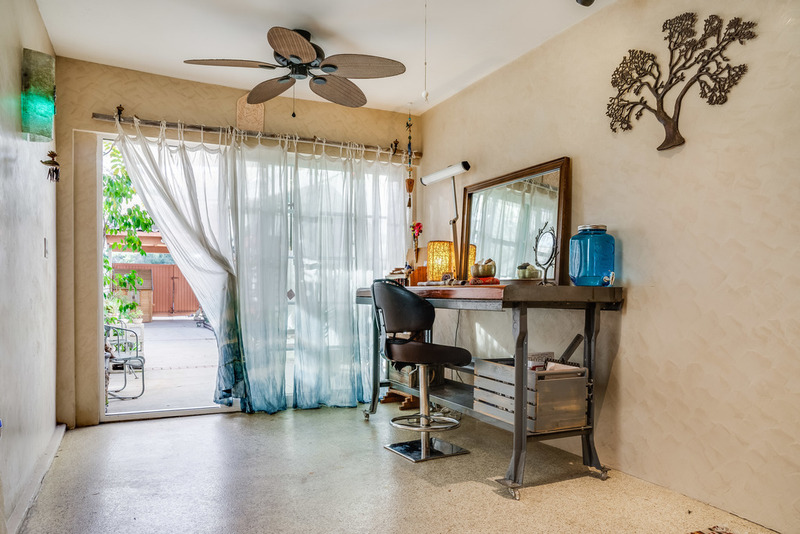 A tastefully decorated, loft studio with private entrance is adjacent to converted garage.